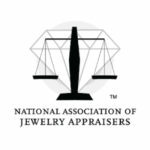 If you are in need of a jewelry appraiser, Heritage Appraisers, Inc. offers a variety of professional jewelry appraisal services and software. We offer different types of appraisals for our customers to help them ensure the proper value of their jewelry or family heirloom. We also utilize The Loupe, our very own jewelry appraisal software, which is also available to purchase. Our jewelry appraisal company is fully equipped to handle all of your needs. From systems to appraise your items to fantastic customer support, we guarantee you will enjoy working with our team. We have a 24 hours turnaround on all requested quotes. If you are looking to increase revenue by helping your customers protect the value of their jewelry, The Loupe is the product for you. Our jewelry appraisal software is robust, simple, precise, and secure and will allow you to create professional jewelry appraisals anytime, anywhere, and from any computer. We offer our professional jewelry appraisal services to consumers and businesses looking to improve their revenue and understand the real value of their possessions. If you are interested in any of our services, please contact our appraisal company today by calling (216) 591-0685 to schedule an appointment.